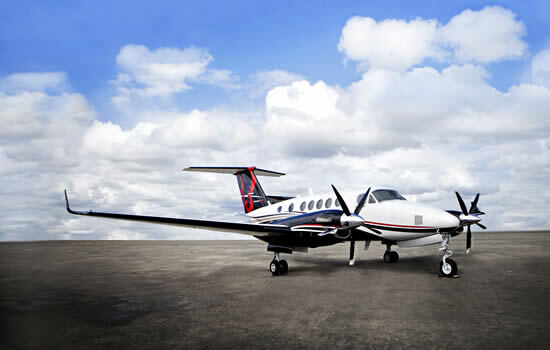 Baker Aviation, a full-service aircraft maintenance, management and charter company in Fort Worth, Texas, is now a recognized dealer for the BLR Aerospace line of King Air winglets, winglet LED upgrades, de-ice boots, and Whisper Prop products. King Air with BLR WhisperProp winglets. Baker Aviation will now sell and install BLR products to owners and operators of King Air 90, 200, 250, 300 and 350 aircraft.